Attorneys, lawyers & law firms need a powerful Web presence that shows professionalism and encourages site visitors to make contact. Below you'll find examples of Web sites built by BANG! that exemplify this criteria. Twist Agency was founded by Cara McGinnis after the realization that there was a niche for social media marketing that produces high-end results without the big agency price tag. From services such as email marketing, social media management and Facebook advertising, Twist creates fresh, relevant content that reveals your brand’s story. Their professional team stays up on the marketplace trends which allows them to tailor to specific platforms, effectively targeting your desired market and creating lasting engagement. To learn more about Twist Agency social media services contact them today to learn more! DUI Defense Attorney, Aaron Black aggressively defends vehicular cases in Phoenix. Many of Aaron’s Extreme DUI defense cases result in dismissals, not guilty verdicts, no jail time, or substantially reduced charges. Aaron is a leading Maricopa County DUI attorney, defending individuals charged with all criminal offenses, vehicular crimes and DUI's in all Arizona federal, state and city courts, Aaron's goal is to keep you out of jail and fight for dismissal of your case. Whether you face a DUI, Extreme DUI or Criminal offense, will aggressively defend you in court against the serious charges levied upon you by the government. Aaron takes pride in personally standing by your side to protect your constitutional rights. Aaron is dedicated to putting his skills and experience to work for individuals charged with serious offenses and DUI in Arizona. 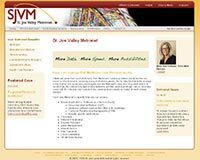 Please click here to contact Aaron Black or call to set up a free consultation today 480-729-1683. 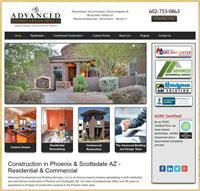 Advanced Development and Building Services, LLC is a trusted building contractor in specializing in residential and commercial construction projects of all sizes in the Phoenix metro area. Established in 2008, Advanced Development and Building Services team of professionals offers over 60 years of experience in all types of construction projects in the Phoenix metro area. Whatever your construction, remodeling or restoration needs may be, contact Advanced Development and Building Services, LLC at 602-753-0863 for more information or to set up a free on-site review and quote today. Indiana Accident Attorney - Foley & Small is a personal injury/trial law firm serving clients throughout the State of Indiana. We have nearly 60 years of experience handling and trying cases where individuals have been injured, a family member has lost their life and helping those suffering other losses. At Foley & Small we have experienced Auto Accident Lawyers, Motorcycle Accident Lawyers, Wrongful Death Attorneys and Defective Pharmaceutical Attorneys, to name a few. Our Attorneys & Staff work to represent the client to achieve the best possible result for them and their family. We work with knowledgeable experts in areas regularly dealt with in our practice areas. 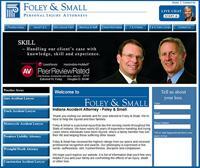 Contact Foley & Small, we’ll work for and with you and your family. From custom molded products to lathe cut rubber, rubber rollers or expander rings, Royal Rubber's complete line of manufactured rubber products and processes meet a wide variety of rubber manufacturing needs. Their parts and components play a key role in the military, appliance, automotive and general industries that keep manufacturing around the world going strong. Rubber parts and components play a vital role in industry throughout the world, and Royal Rubber is committed to delivering superior products for any industrial application. Using standard and custom blended rubber compounds, they create products that perform under the toughest conditions for small, medium and large runs. To learn more about Royal Rubber contact them today! Elkhart Indiana Attorneys Sanders • Pianowski, LLP, emphasizes finding creative solutions to legal problems. Their reputation lies in the ability to bring parties together to resolve disputes without unnecessary legal intervention. The Attorneys of Sanders • Pianowski, LLP have experience in many Practice areas. Their attorneys are meticulous, efficient and thorough providing legal assistance. Just to name a few of their Practice Areas, Adoption Attorneys, Creditor Rights and Bankruptcy Attorneys, and Guardianship Attorneys. Northern Indiana Attorneys, Sanders Pianowskis' commitment to excellence in legal representation is the hallmark of their business practice. They have the ability, experience and resources to successfully counsel clients in an extensive variety of transactional and situational legal matters.